Brook trout are the holy grail of Maine's fly fishers. One evening in May 1964, when I was 12, Dr. Donald Poulin of Belgrade loaded his son Paul and me into his new Scout International, and drove 10 minutes from his home to the thoroughfare connecting Great and Long ponds. An avid fisherman, Dr. Poulin tied a streamer fly to each of our fly lines. “Just drop it in the strong current,” he advised. “Strip out 50 to 60 feet of line and then strip it back in.” We each caught several handsome trout until it became too dark to see our lines. “OK, boys,” he said. “Time to go. We had a nice evening catching squaretails, didn’t we?” It was the first time I’d heard the brook trout’s colloquial name. Although my bass fishing friends call me a brook trout snob, I remain a staunch, unapologetic native brook trout advocate. I’m in good company. The Native Fish Coalition — an energetic Maine grassroots organization — is in the forefront of protecting hundreds of Maine’s remaining high-quality, self-sustaining wild trout ponds from the detrimental effects of stocking of non-native invasive fish and hatchery-raised trout. In 2005, Maine’s Legislature passed the heritage fisheries law — one that recognizes and protects the state’s wild, self-sustaining brook trout. In 2007, Maine’s unique blue back Arctic charr was added to the heritage fishery list. Today, 578 Maine ponds have been designated as heritage fish waters. Under statute 12461, individuals found guilty of stocking any fish in heritage waters are subject to up to six months incarceration and a $1,000 fine. According to Trout Unlimited, Maine is the last stronghold of wild self-sustaining brook trout in the United States. But even here the number of high quality trout waters is declining. Brook trout populations are now threatened, struggling or absent in most of their historic range. That Maine is home to 90 percent of the country’s remaining native wild brook trout matters not to selfish fishermen who release bass into waters, such as the Rapid and upper Kennebec rivers, that were once teeming with brook trout. The Maine Department of Inland Fisheries and Wildlife has also been guilty of grievous fish stocking programs that have harmed native trout. 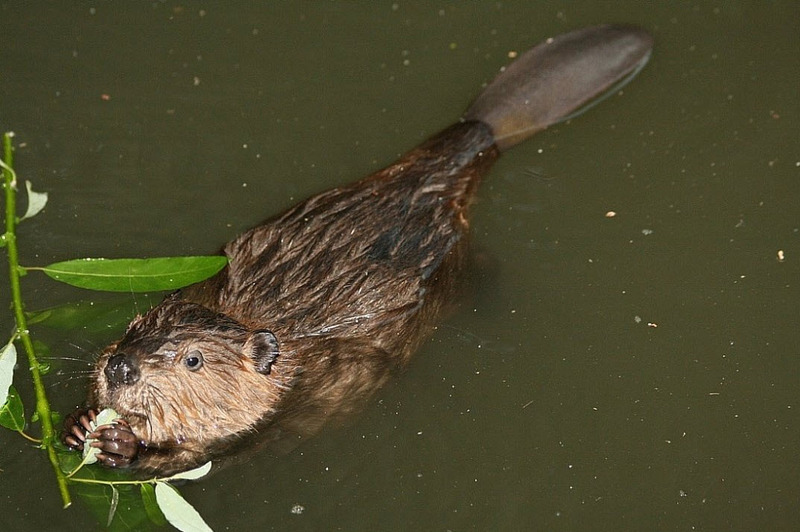 The fault lies primarily with fisheries and wildlife commissioners, most of whom lack a scientific background and are often selected by governors as political favors for campaign support. And here’s the problem: When politicians bow to public pressure from vocal interest groups and order the stocking of bass over the objection of professionals, state fisheries biologists are forced to toe the line or risk being reassigned or threatened with job loss. Ray “Bucky” Owen, who initiated programs to enhance wild brook trout populations, was an exceptional commissioner. Last May, the Maine Legislature wisely decided that native brook trout are worth more than their weight in gold, silver and copper by passing LD 820, the nation’s strictest mining laws. This was in response to a J.D. Irving Ltd. proposal to mine precious metals in northwestern Aroostook County. 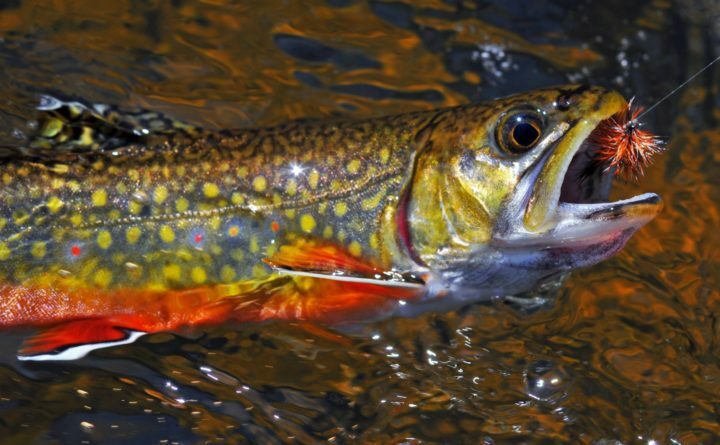 Testifying wild brook trout advocates reminded legislators that the 122nd Legislature passed the heritage fisheries law to protect self-sustaining brook trout waters. Irving’s open-pit mines risk spreading hazardous contaminants to some of Maine’s most cherished trout waters. Others reminded legislators that the state’s native trout fishery has historically generated millions of dollars for our economy by attracting fishermen from all over the world, including former presidents Theodore Roosevelt and Dwight D. Eisenhower, and baseball legend Ted Williams. A visionary brook trout conservationist, Dr. Donald Poulin died in May 1999. Mourners parading past his open casket at St. Theresa’s Catholic Church in Oakland couldn’t help but smile. The old fisherman was outfitted in his favorite fishing gear: beat-up red wool crusher hat, an assortment of colorful fishing flies, red L.L. Bean chamois shirt with a long cigar sticking out of a pocket, chest waders and his favorite bamboo fly rod.